Very Good. 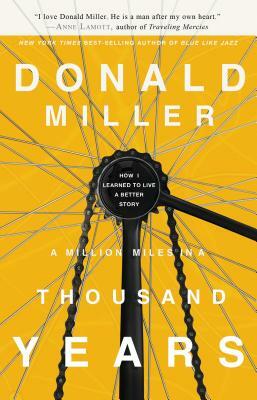 Full of beautiful, heart-wrenching, and hilarious stories, A Million Miles in a Thousand Years details one man's opportunity to edit his life as if he were a character in a movie. Trade paperback (US). Glued binding. 304 p. Contains: Illustrations, black & white. New. Trade paperback (US). Glued binding. 304 p. Contains: Illustrations, black & white. All pages and cover are intact. Spine and/or cover may show signs of wear. The book edges show some chipping. ~ Goodwill Industries of Greater Grand Rapids, Inc. is a non-profit organization dedicated to changing lives and communities through the power of work. Fair. All pages and cover are intact. Spine and/or cover may show signs of wear. Highlighting is present throughout the book. ~ Goodwill Industries of Greater Grand Rapids, Inc. is a non-profit organization dedicated to changing lives and communities through the power of work.